I’m not sure whether I’ve mentioned this before or not, but I went about twenty or so years of my life before I would even try an avocado. My initial reluctance was probably just due to its color (broccoli, Brussels sprouts and all other green vegetables instilled similar fear in me as a child) but later on in life I resisted because was under the impression that avocados weren’t healthy. I was, of course, very mistaken. These days instead of avoiding avocados I’m constantly trying to work more of them into my diet, which leads me to purchase them in bulk. And despite my best intentions to use them in salads or make guacamole there usually comes a time when one or two is at risk of passing their prime. 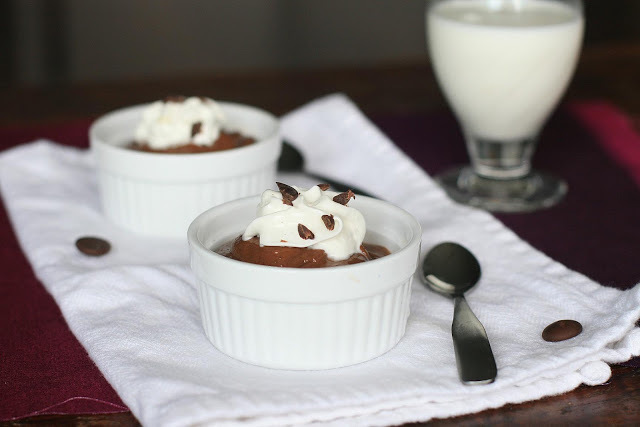 That’s when I whip up some of this super easy chocolate pudding. When eaten immediately after it’s made, the avocado gives it the thick, creamy mouthfeel just like those dairy-filled packaged puddings. If you place it in the refrigerator for a couple hours it becomes dense, almost like barely whipped ganache. I love it both ways. This is the most basic version, which I sometimes jazz up with either some almond extract or dessert liquor like Amaretto or Kahlua. 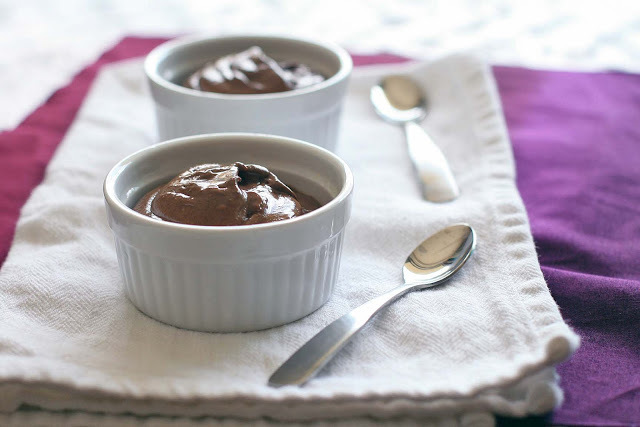 Combine the avocado, chocolate chips and 1 cup of coconut milk in the base of a high-powered blender. Process, adding extra coconut milk if needed, until smooth and creamy.